An innovative sleep over small double bed within seconds. Our brilliantly designed free standing pull out Sofa Bed with futon provides a cosy corner for chilling out with friends during the day and a comfortable extra Sofa Bed for sleep overs. 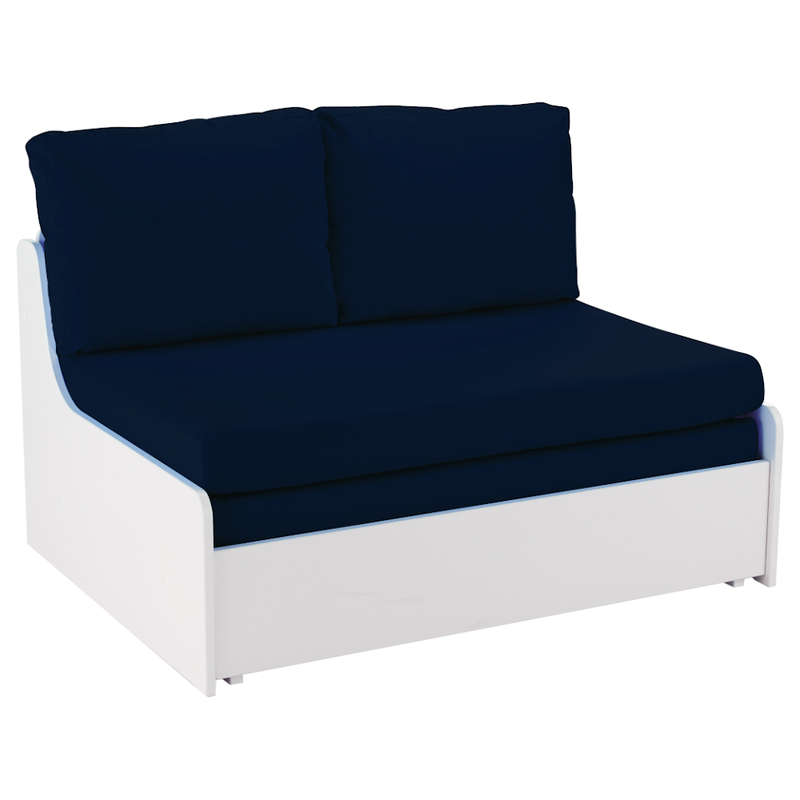 Includes Uno S Sofa Bed with blue cushion set. Size of Sofa Bed fully opened H667xW1200xL2037mm (Space for two friends).